Really want help carrying out your good old living room furniture? Better Cleaning Company is a recognized local professional rubbish removal South West London SW company and can truly assist you. Our waste collectors can deliver domestic and commercial waste disposal service at a reasonable price every day of the year. We are equipped to offer you a fast, effective garden waste collection South West London SW service all year long. Our rubbish collectors will come with a truck and all the tools required to pick up, load up and dispose of your garden waste. This features green waste removal, brown waste removal, leaves, branches, twigs, trees, hedge or grass clippings, and also garden waste recycling. If you are having trouble cleaning out and disposing of the excess builders waste following the renovation of your house, we are always prepared to assist you. We offer top quality building waste removal South West London SW in compliance to all regulations. Our waste disposal crew will do all the weighty lifting and loading, and could be quite beneficial for bulky waste clearance and all kind of construction debris removal. Our personnel are background checked and qualified to properly manage your junk. They will arrive with a truck for loading and transporting the builders waste to the disposal site. We are going to recycle more than 80% of your waste. For swift and efficient aid in clearing out excess things and rubbish from your property, book our professional waste disposal service now! Better Cleaning Company is an expert cleaning and junk removal company in South West London with a very sensitive approach to every single unique consumer. We are consistently committed to the particular demands and specifications a client comes to us with. 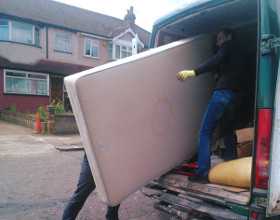 This is why our removal services are always so successful and well liked. Planning removal for you will be fully conducted to your deadlines, wishes and management requirements. We will certainly pack the bags for you and we will supply you even the packing materials. We are going to find man and van for the transport and will be very mindful for your personal things - especially for fine art, important items, ornamental furniture and hand-made indoor goods. In all cases we acquire not only the packing procedure, but also the proper boxes arrangement during the travel. If you need personal removal support - like tickets, temporarily accommodation or administrative help with the address change, we can assist you, too. If you decide to use the professional rubbish removal services in South West London SW provided by Better Cleaning Company, all you need to do is reach our customer support by smartphone 020 3746 3201 or online here. We take orders for free viewings. As a trustworthy rubbish waste carrier we guarantee you rapid arrival of our skilled 2 men teams. Our services are eco-friendly, and we do the recycling instead of you. If you reserve yet another service, we will make a price cut of up to 15%. Order today!